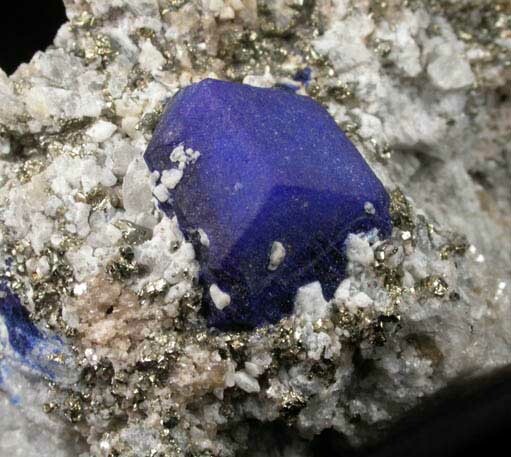 Description: Sharp well-defined lapis-lazuli crystal, the gem variety of the mineral lazurite, in white marble with yellow-metallic pyrite crystals. 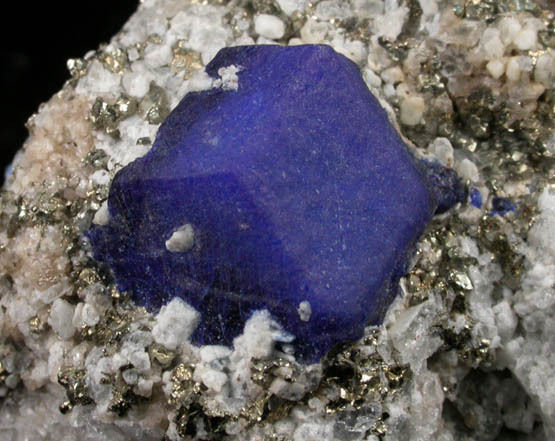 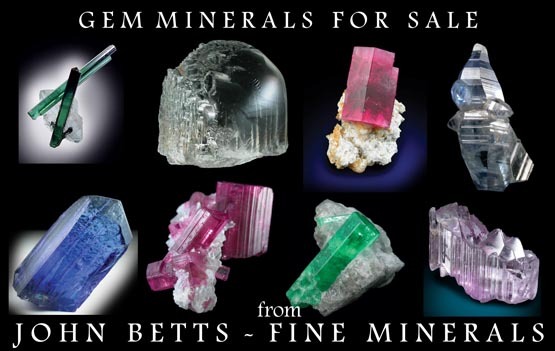 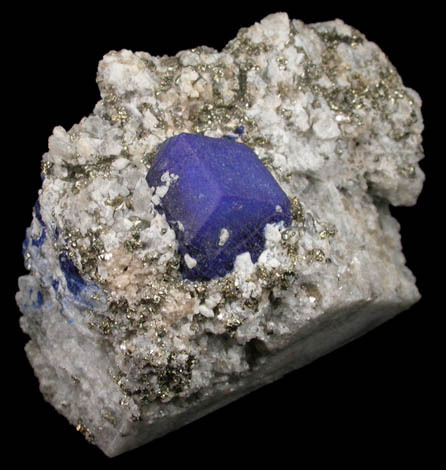 The lazurite crystal is deep indigo-blue color with clean faces. 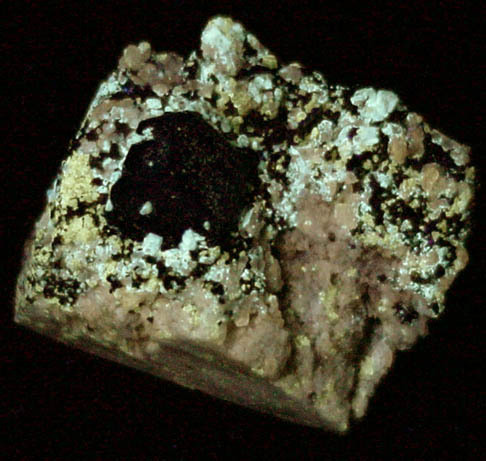 The marble fluoresces yellow under UV illumination.